PROVIDENCE, R.I. (WPRI) – A local artist has tucked away about 3 dozen mysteries in hiding places along Providence’s streets, hoping to inspire peace with anyone who happens to find them. 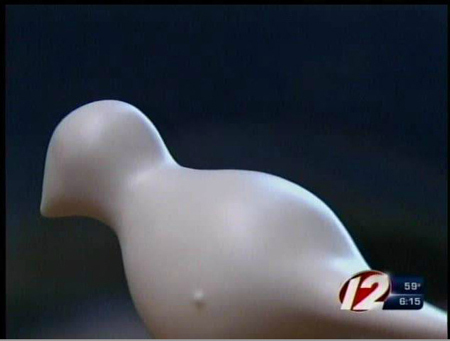 The Rhode Island capital is the latest stop for Sandra Jean Ceas who grew up in Lincoln and started what she calls a public art project six years ago after a revelation in an art class. She took us back in time as she perched her hand crafted porcelain doves in a variety of spots. To Read more and see the video, go to link above.